Ouster from leadership position follows her participation in Women’s March. 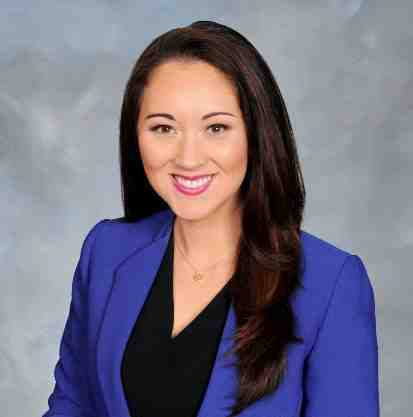 Hawaii State Rep. Beth Fukumoto, once considered a rising star in the Republican Party, is considering leaving the GOP after she was ousted from her position as House minority leader this week. Four of the five members of the Republican delegation voted on Feb. 1 to remove Fukumoto, 33, from the leadership position she has held since 2012. The Mililani native said it was because of her participation in the Women’s March and her criticisms of President Donald Trump. At the Women’s March, Fukumoto told the gathering that she was booed and insulted at her party’s convention for refusing to endorse then-candidate Trump because of his racist and sexist remarks. Rep. Andria Tupola will replace Fukumoto as minority leader. The Republicans who voted for Fukumoto’s ouster said that it was wrong for the minority leader to criticize the president. Hawaii politics are dominated by the Democratic Party: there are only six Republicans in the House and no Republicans in the State Senate. Because she was elected as a Republican, Fukumoto said she would ask her constituents for input before making her decision whether to switch to the Democratic Party. The GOP chairman has urged Fukumoto to remain a Republican, but said that if she decides to defect that it would be honorable to resign so the party can decide a replacement to represent the district. Fukumoto was first elected in 2012 and was the youngest woman to serve as a state caucus leader in the country. The Washington Post named her one of “The Fix’s 40 under 40” rising political stars. Recently, she was awarded the Aspen-Rodel Fellowship for demonstrating an outstanding ability to work responsibly across partisan divisions.